BestLeather is excited to be able to offer this great giveaway from two well known and trusted brands: Lexol & Piel Leather. The combined value of this great giveaway is over $450! The winner will receive a gift basket chock full of Lexol’s best leather cleaners and conditioners. And, along with that basket, the winner will receive a Piel Leather Vintage Laptop Briefcase. 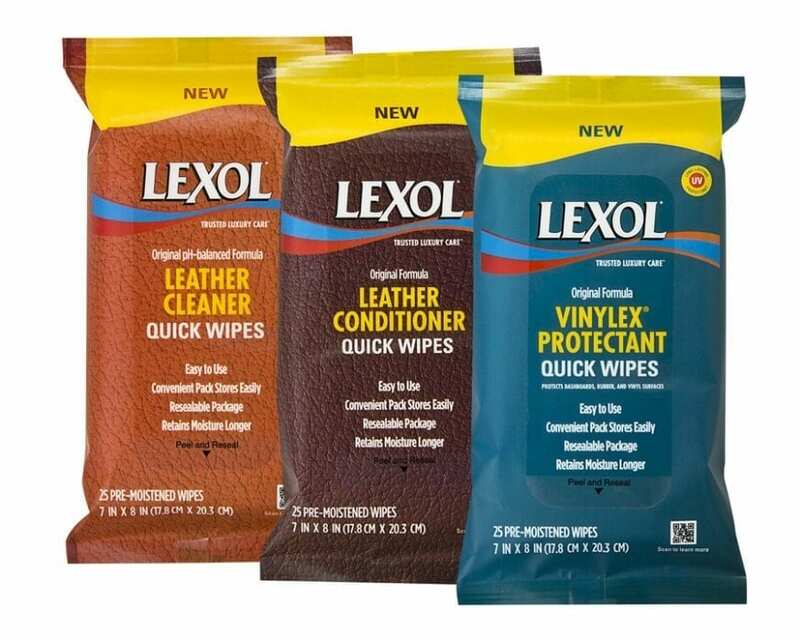 BestLeather has long been a fan of Lexol’s products. We featured an article about their conditioner a couple of year’s ago. And, we’re getting ready to feature some of their newer products…look for that soon. Lexol, has been the conditioner and cleaner trusted by professionals for decades. They have been the leader in luxury leather care for over 80 years, developing and crafting innovative leather care solutions that help consumers clean, maintain, and restore their leather goods for a lifetime and beyond of enjoyment. The company retails its line of American-made products and kits at leading specialty and national retailers within North America. There is a Lexol formula for virtually any leather application, from automotive, fashion, furniture, and sporting goods to equine market needs. The company, including its development lab and manufacturing facilities, is headquartered in Marietta, Ga.
Be sure to visit Lexol’s website to learn more about each of these great products. Lexol’s product contain a UV protectant and a non-darkening formula. They are also alcohol free and silicone free. Each has been specially designed and formulated to help you keep your valuable leather products protected and looking great for many, many years to come. For over 40 years, Piel Leather has remained the internationally recognized Leader in Naked Leather. Their high standards for quality and workmanship have allowed them to produce leather goods of exceptional distinction and durability. Piel Leather feels that their customers deserve a product that is manufactured to the highest quality standards at a price you can afford. By remaining completely dedicated to their craft, they have survived as the leading manufacturer and distributor of naked leather products. Piel Leather takes pride in their talented employees that for over three decades have dedicated their lives to mastering the art of leather craftsmanship. Their loyalty, commitment, and hard work are reflected in Piel Leather’s exceptional line of genuine handmade leather goods. All of their products are manufactured and handmade in their factory located in Bogota, Colombia, South America. Piel Leather specializes in providing quality leather products for all markets. As the pioneer of some of the finest naked leather goods available, Piel Leather is able to provide a spectrum of leather goods to suit your every need. “The Piel Leather Vintage Collection incorporates a timeless style with a rich classic (or waxed or glazed) finish. Made from 100% Genuine Colombian Full-Grain leather and trimmed with our traditional (chocolate) Vaquetta leather. This soft, supple, and smooth leather is accented with silver hardware and nylon lining creating a luxurious look that will stand the test of time. The Vintage Laptop Briefcase has a top zip-opening to spacious main compartment. Zip-down opening to a second compartment featuring a padded laptop pocket, large zip-pocket, full organizer, and a thin pocket, perfect for any size tablet. Additional features include front open pocket, back strap to attach to a telescopic handle, double carry handles, and an adjustable/detachable shoulder strap. The bag is 15 x 11.5 x 4 and can accommodate a laptop up to 15 x 10.5 x 1.25.” To see the complete line of Piel Leather products, visit www.pielleather.com. We hope you’ll enjoy entering this contest. Be sure to follow all of the steps and glean the most entries possible. And, be sure to share the contest for even more entry points! We look forward to announcing the winner on January 5th! 17 Comments on "Lexol & Piel Leather Giveaway – Ends Jan. 5, 2015"